Catherine Johnston of Powell River was pleased to get the call after the draw at 4 pm, Sunday Aug 20, on the Arts Alive stage. We sold out of tickets early Sunday Aug 20 when we reached the total authorized: $3,000. The raffle generated $2,300 profit, which will be shared between PRFHS projects and the PRHMA Forestry Museum program. Many thanks to all the ticket buyers who supported us through this raffle; and special thanks to the PR Museum for selling their most-ever tickets at their events and from the two museums. Our star ticket seller continues to be Debra Bevaart, the prize's sculptor, who sold over $1,500 in tickets from her Tug Ghum gallery at Lund, For this tremendous support over the past eight years we list Tug Ghum Gallery as a Silver Sponsor in our recognition program. The ticket sales for the 2017 fundraiser began at the PRHMA kiosk during the Lund Shellfish festival May 26-27. The next big sale weekend was from the PRFHS display at Logger Sports, and then Blackberry fest weekend: $250 in sales at the PRHMA kiosk at the street party, then $400 in sales Saturday Aug 19 at Arts Alive, enhanced by the presence of Betty Wilson with her Traditional use of the Forest demonstration, and Ron Hunter carving axes. The new pricing option of 5 tickets for $20 attracted much interest; more than half the tickets were sold at 5 for $20. The upgraded prize to a Sea Lion was also popular with regular ticket buyers. 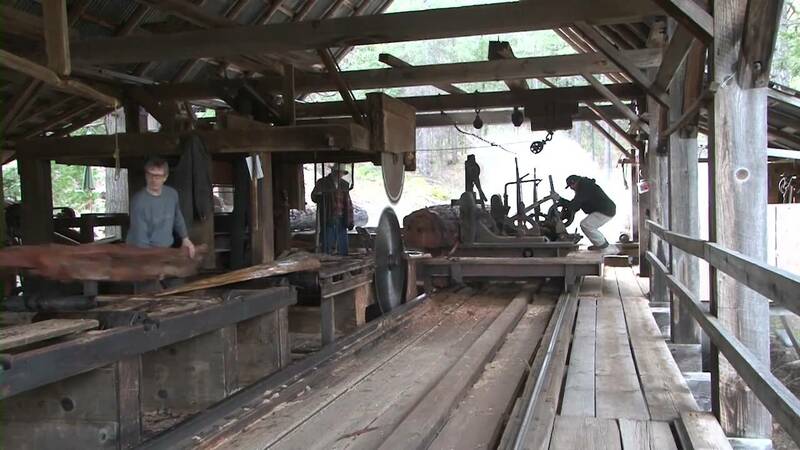 Tickets were sold at the Historical Museum, Forestry Museum beginnng mid June, and at the Railroad each Sunday. Work parties have been few and far between this season. In August and September, Dan, MikeL and DaveF began the trestle extension. On Sep 6 they got the joists installed on a 20' section. Next will come some trestle sections. - Many thanks to A&W for providing lunch for the track expansion crew at the Railroad on July 12, for use of their gazebo tent on July 17 and power washer for Trail equipment cleaning on July 20. Special shout out to Cottage Creek Bakeshop. Over the past five years owner Janet Lyon has often donated delicious baked goods to volunteer train crews on Sundays at the farmers market. Thanks to the PR office of the Ministry of Forests, Lands and Natural Forest Operations for donating three culverts for our Willingdon Beach Trail work in March 2016. See the full list of Friends and Sponsors below. A BIG THANK YOU to all the Santa Train volunteers; thank's to you the event was very successful !!! All items we are repatriating from Burnaby; (the Sawmill, Steam Donkey and Ross Lumber Carrier) have arrived in Powell River, and are stored at Catalyst Paper. PRFHS is assisting the project lead, PR Historical Museum, in the next planning steps. Re-installed the compressor, replaced the failed sensor switch and fixed some plumbing leaks. on April 5, Dan, Mike and Dave brought the locomotive to Dan's shop. In April 2016, while landscaping the improved logger sports site next to the Forestry Museum, the Logger Sports volunteers unearthed a railroad tie plate. About 15" long, it was probably used in a railroad track switch. It features a 7" wear plate for the switch points, pressed or hammered out from the flat iron stock (this was way before welding). It held very light rail: only 3 1/2" at the base, indicating about 50 lb/yard rail. It could have come from the nearby Michigan Landing railroad log dump that operated from 1910 to 1918, or from some other local location when fill was brought in to build the original logger sports site. The artifact will be turned over to the Forestry Museum. Clearly we haven't found "the last spike" as surmised here. We found one while digging culverts in late March. The ditch deepening and culvert installation project planned for March 29-30 2016 is complete. Thanks to John Brownsell Backhoe for a deep discount on his services for the two days; and to the members who came out and did the work. The amphitheatre seats will be a wonderful legacy from Logger Sports 2016. It will reverse the viewing angle from previous events by 180 degrees; the ocean will now be the backdrop. The Donkey arrived a few years ago, and we're restoring it in 2016. Soon we'll build a sled for it, then do some welding repair, and move it to a new site yet to be selected. We started an annual newsletter in 2011. Readers are welcome to read the newsletter online, or download and print it for free. We issue a free printed version of each newsletter to Silver-level and higher level sponsors, and to our active members donating more than 15 hours per year of their time to the PRFMS. To help support issuing printed versions, Interested readers may like to donate $5 or more to the PRFMS. Versions suitable for printing on 11x17 paper (booklet format) are available by email request. As an extension to our summer afternoon “Train Rides Sunday” program, the Forestry Heritage Society volunteers decided to follow the lead of many other miniature ride-on train clubs with a Christmas-theme event held in the dark. Co-ordinator Hans Maurer selected two evenings, December 11 and 12; and set the times at 5 to 8 pm. We wanted this event to be entirely a charity-benefit, so we partnered with the Salvation Army; and set the all-evening ride fee as non-perishable food items or unwrapped toys. A Salvation Army kettle was also on hand. Held in the dark, the Christmas lights guiding the route provided a very different experience compared to the regular afternoon summer program. Many people parked on-site, but others walked from McLeod Road. Floodlights were up to aid parking, all run by generators donated by local rental outlets and volunteers. Our first Santa Train was a big hit - undoubtably an annual event. Mike Lister and Hans Maurer powerwashed the boomboat, logging arch, trestle surface and steam donkey surface; and did other work on the trail in May. Thanks to A&W Retaurant for the loan of the power washer. Members Dave Florence, Geoff Stubbs, Leif BJornson and Doug Lott worked with them. We enjoyed Arts Alive in the Park, Willingdon Beach Aug 15/16, 2015: a demonstration of use of the cedar tree by Betty Wilson, a Tla’amin Nation elder and cedar root weaver at 1:30 Sunday, along with Ron Hunter carving axes for the kids. Congratulations to PRLiving for this excellent insert. Check out this garden railway video . We hope to provide a garden scale track as part of our Paradise Valley Railroad display and invite G-Scale hobbyists such a Geoff to bring their trains to run on i.